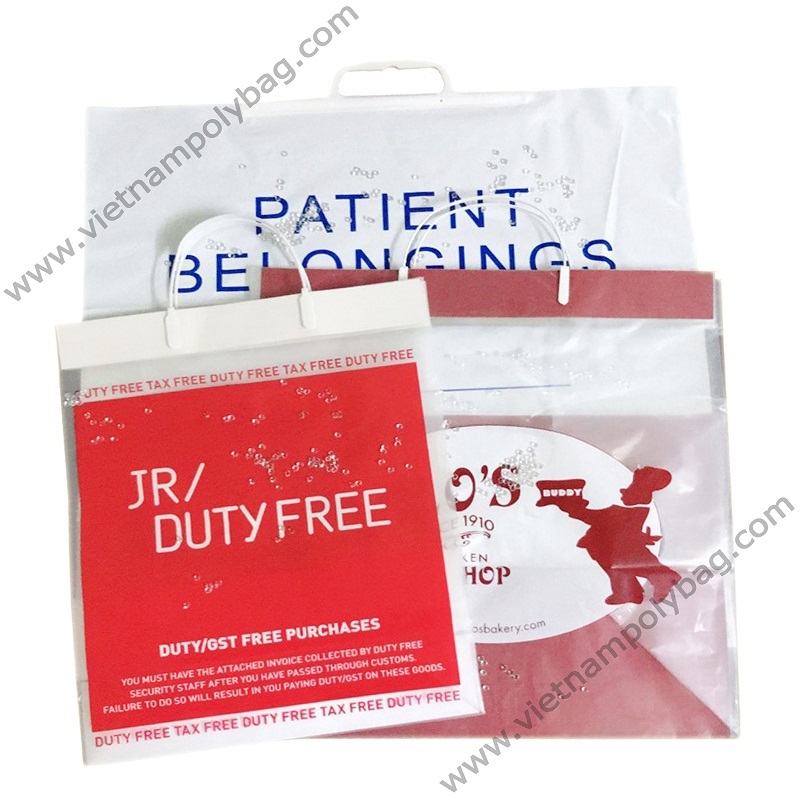 Description: hard loop bags are made of two parts that clip together to form one comfortable handle. Once clipped, the handle is then heat sealed onto the bag to ensure maximum strength. Advantage: hard loop bags are favored by security conscious retailers or businesses and are perfect for when you need to keep goods safe. With side gussets and the comfortable grip plastic handles are designed to withstand over stuffing, ideal for retail use when selling large awkward items. Hard loop bags are also strong and easy to use or reuse, recycled.